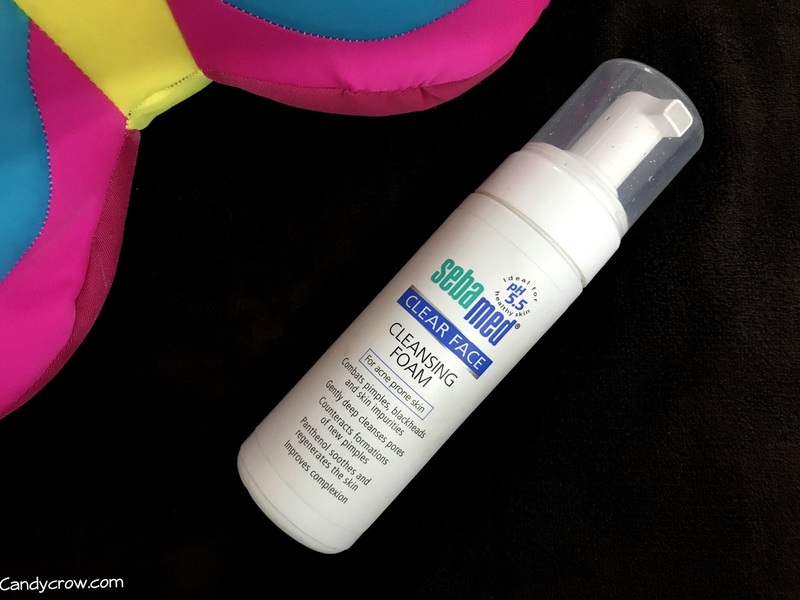 Sebamed clear face cleansing foam is made for acne-prone skin. It is available in most of the beauty shops and pharmacies. Sebamed clear face range of products helps in maintaining an acidic pH of 5.5. The slightly acidic pH value prevents harmful bacteria from multiplying on the skin, thus protecting us from pimples and blackheads. Sebamed cleansing foam comes in pump type packing which is easy to carry around during travel. It has montaline C40 and panthenol as its active ingredients. Montaline prevents the formation of pimples and blackheads, while panthenol soothes and regenerates skin. This cleansing foam is free from soap and alkali. It is suitable for acne-prone and sensitive skin. 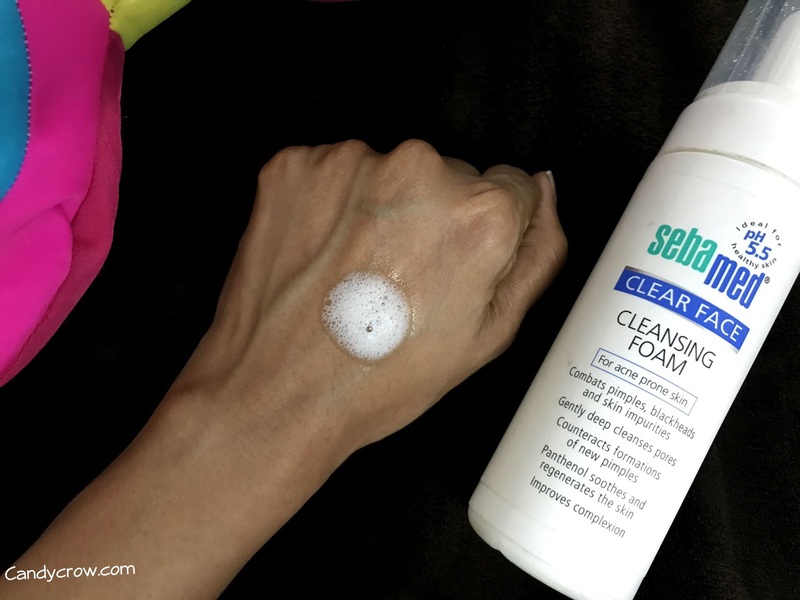 How I Use Sebamed Clear Face Cleansing Foam? 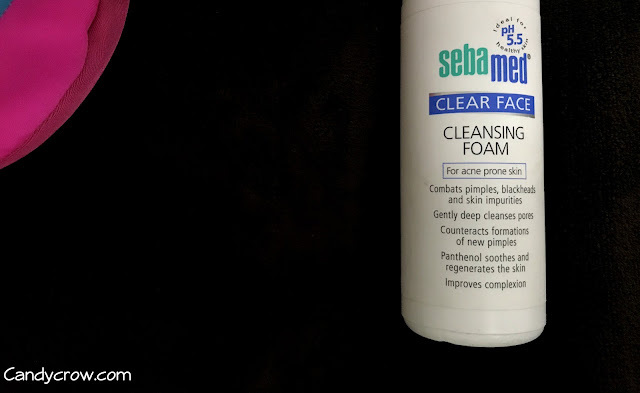 I use sebamed clear face cleaning foam on my face during morning and evening. I dispense a pump of foam into my palms and massage it gently into the skin. I leave it for a minute and wash it off. In the products direction of use, they have asked us to leave it for 3 minutes before washing it off, but I feel that my skin becomes dry around my cheeks if I leave it for more than 1 minutes. Experiment with it and follow the one which works for you. I have been using this foam for past 3 months, and I have seen a vast improvement in my skin. It removes excess sebum and dirt without drying the skin. The occurrence of the pimples, blackheads, and whiteheads have reduced considerably. The skin feels more fresh and rejuvenated. Sebamed clear face cleaning foam face wash combats blackheads, pimple, and whiteheads effectively with frequent use. It heals the skin and makes it soft and supple. 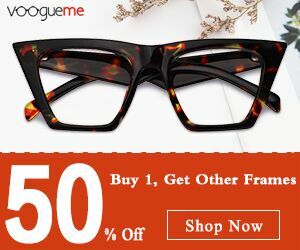 Even though its expensive, a single bottle lasts for 6 months. It is a wise choice of facial cleanser for women with acne and sensitive skin. I will rebuy it. * Keep your hands off pimples to prevent damage to skin. * Use sebamed cleansing foam along with sebamed clear face care gel for more promising results. * If you have acne-prone skin stay away from oil and emulsifiers. * Avoid junk food and say Hello to beautiful skin. * Working out boost up your circulation and helps in attaining nice and healthy skin.